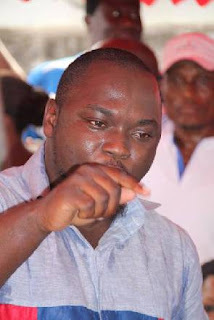 Supporters of Valentino Nii Noi Nortey, who lost to Phillip Addison in the New Patriotic Party's parliamentary primary in the Klottey Korle Constituency, have vowed to defect to the camp of National Democratic Congress (NDC). The supporters claim the votes on Saturday, February 27 “were turned upside down” in favour of Mr Addison. “We know that they turned the cast down,” one of the supporters alleged in an interview with TV3’s Jonathan Adams after the legal practitioner was declared winner on Saturday. Mr Nortey, a former constituency chairman, lost by 29 votes to Mr Addison, who polled 396 out of a total of 765 votes. Mr Nortey's aggrieved supporters say he is the only one who can do the job of reclaiming the seat for the NPP. Mr Nortey did not sign the declaration form by the Electoral Commission after the votes were declared. He is reported to have stormed out of the venue.